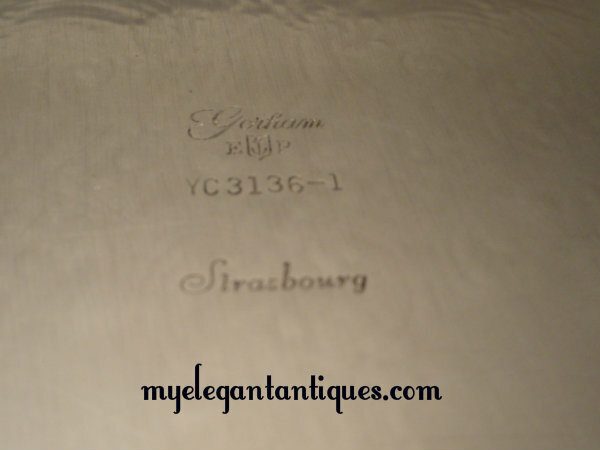 Produced by Gorham Silver since 1897, the lovely, popular Strasbourg pattern was used on serving pieces and flatware. 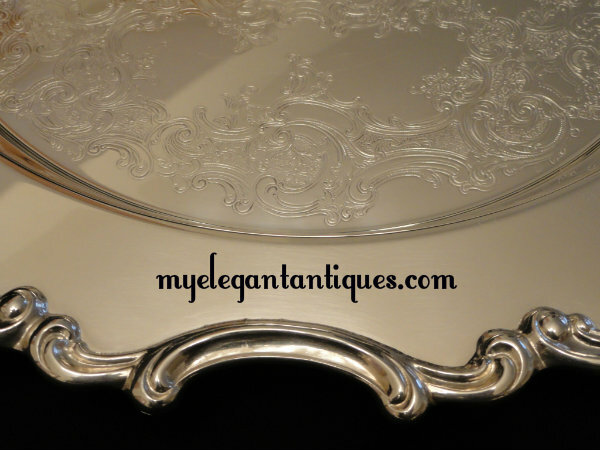 The shell-like, gentle curves of the scalloped edges and the flowery scrollwork details on this Vintage Gorham Silver Strasbourg Pattern YC3136 15" Silverplate Ornate Scalloped Round Serving Tray are reminiscent of the desirable Rococo style of 18th century France. 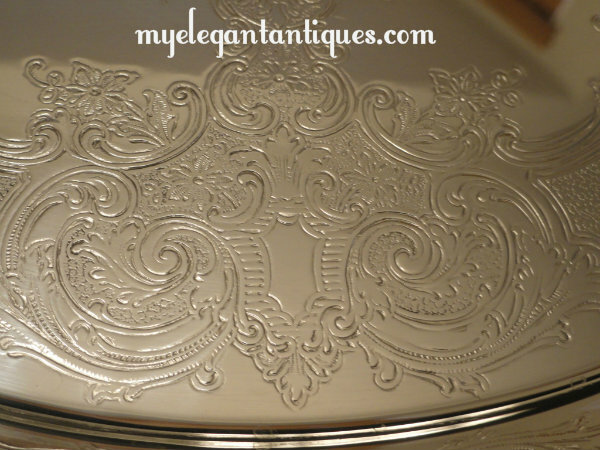 The beautiful and timeless pattern of this Vintage Gorham Silver Strasbourg Pattern Silverplate Round Serving Tray makes it perfect for every day use and entertaining. 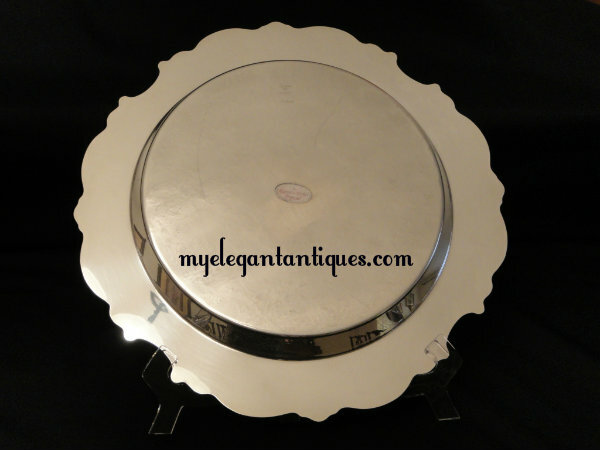 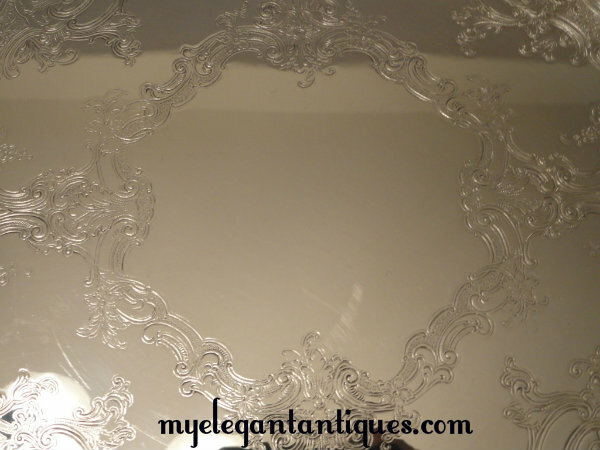 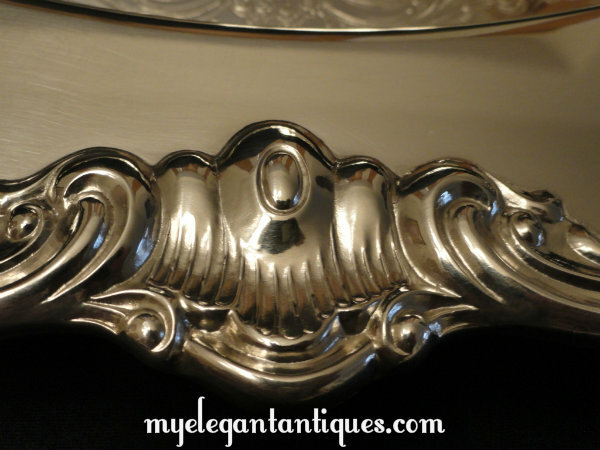 Our Vintage Gorham Silver Strasbourg Pattern Scalloped Round Serving Tray measures an ample 15" in diameter. 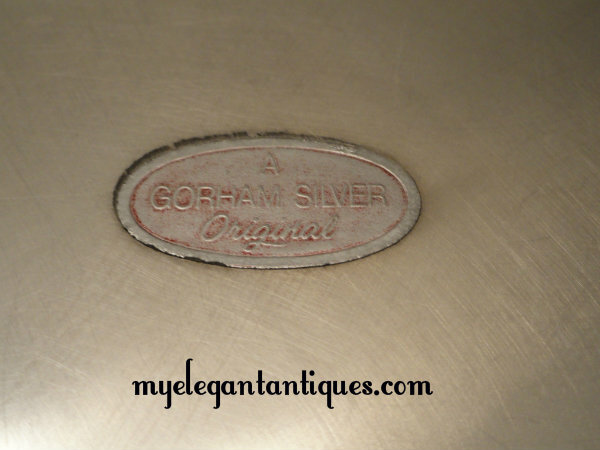 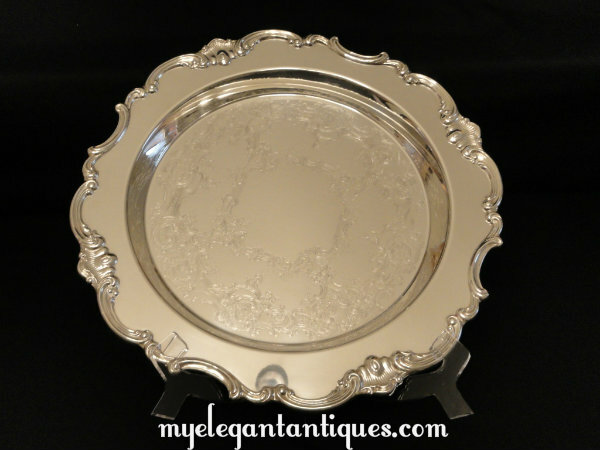 In perfect vintage condition, this gorgeous Vintage Silverplate Round Serving Tray is marked Gorham EP YC3136-1 Strasbourg.